INNER CITY STYLE! You'll appreciate this units thoughtful design and convenient location. 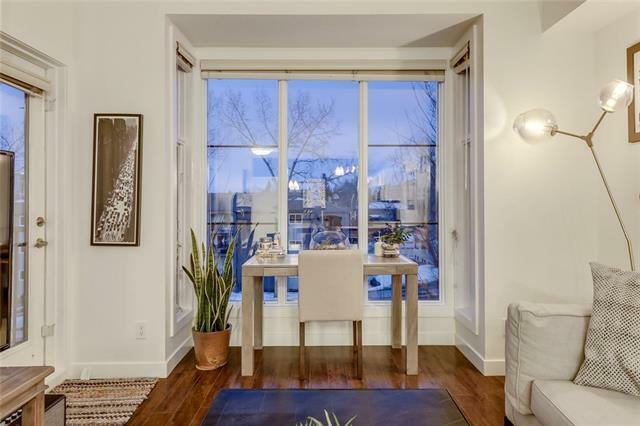 Renovated 2 Bed, 2 Bath condo with city views. 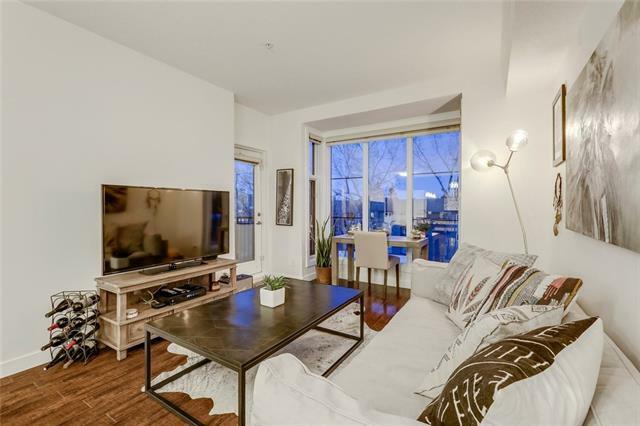 Minutes to 17th, downtown or Marda Loop, this unit will check all your boxes. The open-concept kitchen, dining and living area is perfect for dinner parties and entertaining. 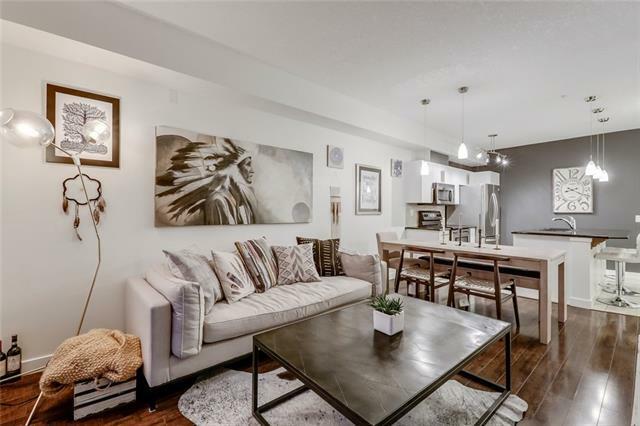 Features 9 ft ceilings, wide plank laminate flooring, gorgeous white kitchen with custom brass handles, granite counters, and new lighting throughout. The spacious master bedroom has a sitting area and oversized walk-in closet with ensuite bathroom. Enjoy your morning coffee on your private balcony or head to the shared rooftop patio for 360 degree breathtaking views. 1 TITLED U/G PARKING Stall & ability to lease a 2ND U/G Stall, storage locker, bike storage and in-suite laundry. 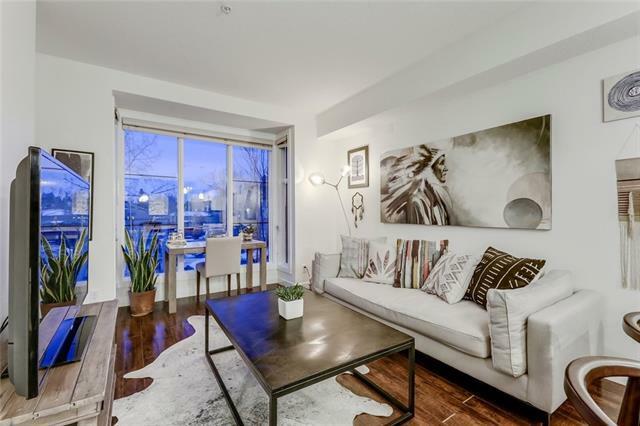 The location and community provides a un-compromised lifestyle that appeals to a diverse and friendly host of condo owners. You'll love living here and everything it has to offer!